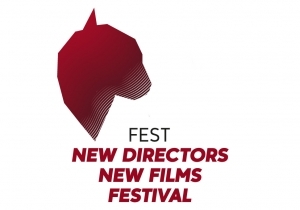 We just arrived from the Fest New Directors New Films Festival in Espinho, Portugal. A week of training, master classes and workshops. We made our first pitch in front of producers, agent sellers and other important people from different international production companies. 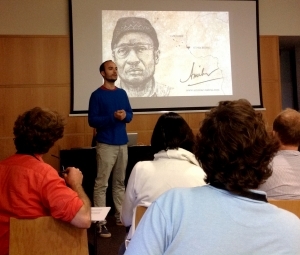 Our project Amilcar was very well evaluated and we received useful feedback. We also made interesting contacts with directors and producers from all over Europe. The Festival awarded 2 projects of each category: 3 months tutoring and project development by an Expert, and a weekend training for a FEST FILM LAB Workshop of their choosing. We are very happy because the two winners on documentaries were our friends Marija Fridinovaitè (from Lithuania) and Gabriel Babsi (from Italy). Congratulations! We took advantage of the trip to do some interviews for the documentary to: Irene Pimentel, a university professor expert in PIDE, the secret Portuguese police, and General Fode Cassama, who fought with Amilcar Cabral. We had also the opportunity to read some key documents kept at Arquivo Nacional Torre do Tombo in Lisbon. We really made the most of our time in Portugal!